When she looks in my eyes. You best believe I throw down. You name the place and the time. Find Mr. Shifty at the showdown. And you believed it was true. I know it ain’t right. I can’t remember their names. ‘Cause girls are players too. About a girl we knew. She was a pretty rebel. And the mind of a devil. Under cover all the time. You better rack another line. This freak was kind of fine. There’s plenty of her kind. She’s got it, so she flaunts it. So, get up on it. I come alive and hit my mark. Can’t lie, I’m on the take. The ladies call me Mr. Right. And others call me a freak. Girl, it’s okay if you bite. I’m game to elevate your mind. So realize the size of it. I’d love to touch you baby. And taste the essence of you. 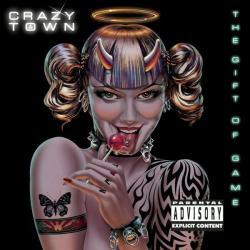 PLAYERS (ONLY LOVE YOU WHEN THEY'RE PLAYING) es una canción de Crazy Town del año 1999. La letra ha sido escrita por VALLI ANTHONY LAWRENCE, BERNARD WILLIAMS; publicada por THE BICYCLE MUSIC COMPANY. Agradecemos a bbnjamin por haber subido la letra.